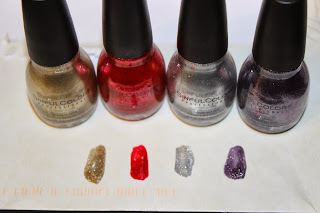 I am nail polish obsessed especially around the holidays with all the glits and glam that they add to the polishes to make them sparkle. 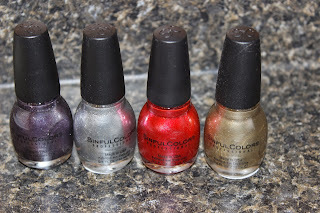 I was excited to try out Sinful Colors new Mirror Metallics Holiday 2013 collection. Here is what I received. Silvers of tinsel, glittery ornaments, festive wrapping paper that sparkles 'round the tree... these are a few of our favorite metallic things. 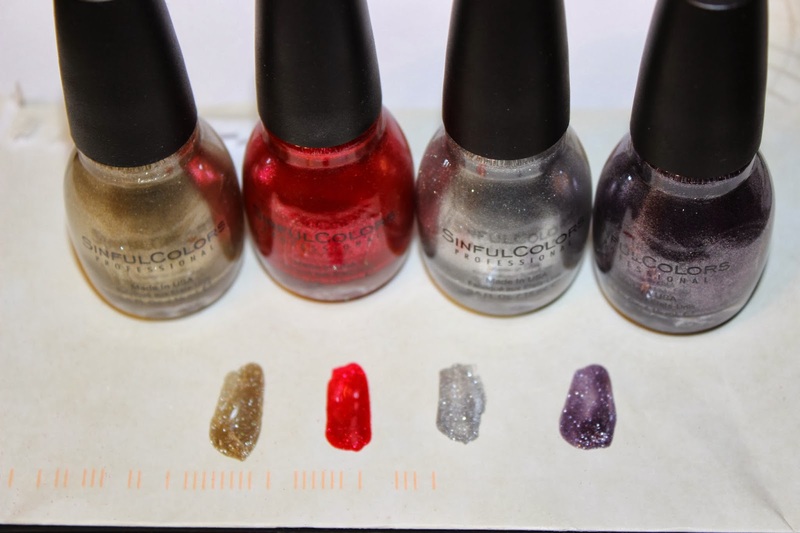 New this season: The Mirror Metallics nail polish collection from SinfulColors features seven sparkling shades guaranteed to steal the spotlight. Infused with sensuous shimmer, these luminous tints will light up your holiday celebration. 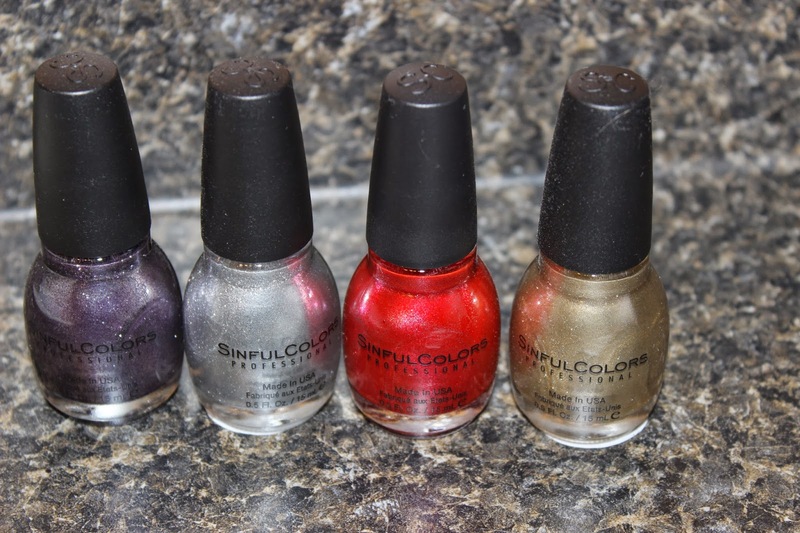 The mirror Metallics collection covers the color scheme from seductive purple to bold gold. Each is designed to bring a sweeping holiday spirit to all who partake in the festivities. On the left is Gold Medal, Red Eye, Simply Sliver and Triple Platinum. I love the Triple Platinum with just a hint of lilac in it really makes my nails stand out and match tons of outfits this season. This line is only available Exclusively at Walgreen's stores and they retail for $1.99 each.